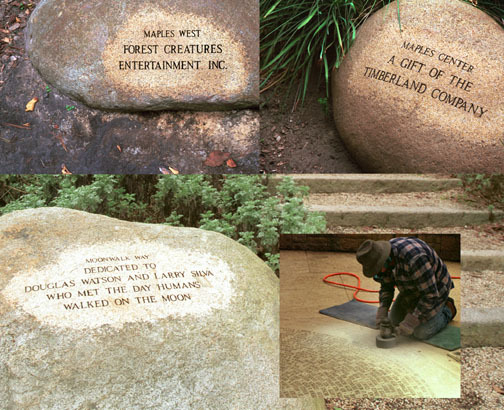 "we have tried to be as unobtrusive as possible"
With all due respect for the pain and suffering caused by Aids, allowing any company or person to have their name carved into the landscape of Golden Gate Park is not unobstrusive. This is a direct affront to the vision for a "sylvan pleasure ground" shared by William Hammond Hall and John Mclaren. 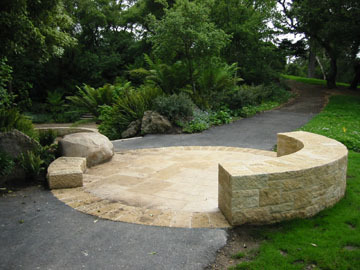 Similarly, placing 7 (and counting) stone monuments in the previously naturalistic de Laveaga Dell is not unobstrusive.